Hardening off tomato plants, or gradually exposing seedlings to the outside environment, strengthens stalks and prepares tomato plants for the transition to the garden. Without hardening off, young seedlings may snap in the wind and foliage may scald and sunburn, damaging the plants. Exposing tender stems and foliage gradually to the effects of the wind builds strong stems that stand up to the weather when planted in the garden. Choose a sheltered location for hardening off your tomatoes. Look for an area that receives filtered or morning light and provides a windbreak. The object is to expose young plants to the outside without causing stress or damaging foliage. 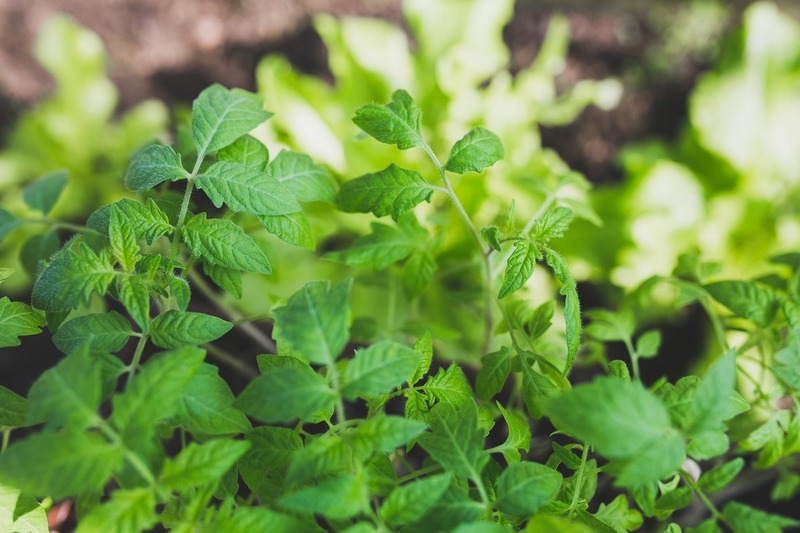 Areas near the foundation of the house (out of direct sunlight) or along a fence make the ideal place for introducing tomato seedlings to the outside. Bringing your tomato plants back inside at night during the hardening off process protects them from chilly nights. Leaving them outside poses the risk of losing the plants. Although it may seem like a bit of a chore, moving plants inside is a necessary part of the hardening off process and will reward you with lush green plants with abundant fruit in late summer. Place tomato seedlings in a sheltered location when weather is warm and mild. Two to three hours of exposure for the first day is sufficient. Place the seedlings in the same location for 2 to 3 days. Watch your tomato plants carefully and provide additional water as outside conditions can dry the soil quickly. Tomato seedlings typically require daily watering. Move the seedlings a foot or two away from the building or fence, ideally into an area that receives some direct sun. This allows seedlings to experience natural winds, but still provides some protection. Gradually move the plants further from the fence or building over the next few days. Check plants often for any signs of damage or stress. Move stressed or wilted plants inside for the rest of the day and set them out again the next morning. Once plants have acclimated to the outside, begin moving them to direct sunlight. An hour or two of direct morning sun for the first day is adequate. Gradually increase the amount of sunlight until plants tolerate several hours of direct afternoon sun without signs of wilting. Your tomato seedlings are ready to transplant to the garden once they can tolerate full sun without wilting or showing other signs of stress. Many gardeners neglect to properly harden off tomato plants or in are in a hurry and do not allow plants enough time to sufficiently acclimate to outside conditions. Although plants may survive in the garden after a day or two of hardening off, the stress associated with drastic changes in the growing environment may set a tomato plant back for a month or more. Taking the time to harden off your tomato plants gets them off to a good start and produces healthy, robust plants.